The Al Iskandariyah (Alexandria) airfield was said by some sources to be one of eight major operating bases for the Iraqi Air Force at the time of the 1991 Gulf War. 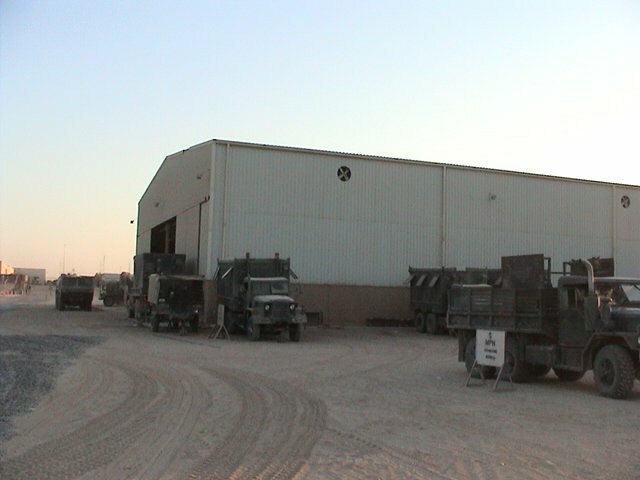 This facility should not be confused with the al-Quds General Company for Mechanical Industries at al-Iskandariyah, 40 kilometers (25 miles) south of Baghdad, which made medium-range missiles and bombs in the 1980s. This Al-Iskandariyah is the home of a large military industrial factory, which has been attacked in previous confrontations between Iraq and the western allies. The town of Al Iskandariyah is north of Camp Dogwood. The 123rd Main Support Battalion is deployed in Camp Dogwood, Iraq in support of Operation IRAQI FREEDOM. The soldiers of V Corps's C Company, 440th Signal Battalion's motor pool make regular trips to Camp Dogwood to re-supply the shop there and drop off vehicles that have problems that they can't repair at their own motor pool. On 19 June 2003 one 804th Medical Brigade soldier was killed and two injured during a rocket- propelled grenade assault on a military ambulance that occurred north of Camp Dogwood in the town of al Iskandariyah. One 1st Armored Division soldier was killed and another was injured in a helicopter accident early on the morning of 02 September 2003. The accident occurred at Camp Dogwood at 12:30 a.m. when the UH-60 helicopter rolled over after making a hard landing. 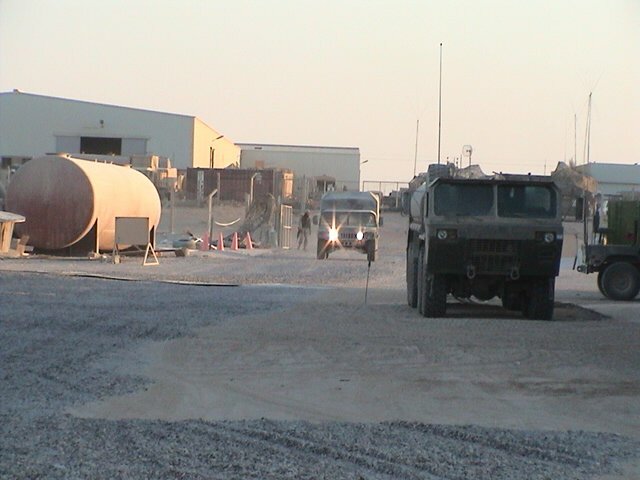 With extreme high wind conditions sending sand flying through the air, a small group of Army Reserve engineers worked cautiously in the Iraqi desert to build a much-needed helicopter landing pad in August 2003. 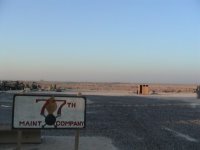 With sand-covered faces and wearing sunglasses to protect their eyes, six engineers from B Company, 389th Engineer Battalion, based in Decorah, Iowa, worked diligently to transform a useless desert plot to a fully operational helicopter landing pad for a nearby combat support field hospital. 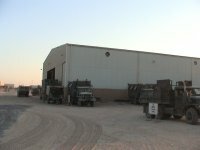 Deployed since May 12 in support of Operation Iraqi Freedom, these citizen soldiers have been working nonstop designing and building morale and welfare projects, guard towers and various construction projects throughout Forward Logistics Base Dogwood - a support operations center located southwest of Baghdad. 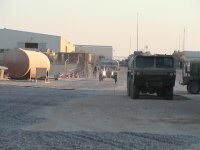 With more than 4,000 soldiers living on FLB Dogwood, the soldiers of B Company have been constantly busy since arriving in the Iraq theater of operation. Whether the small engineer team works to help reduce the time it takes to put injured soldiers onto an awaiting helicopter or to dump large piles of rock around the large support base's 26-mile perimeter, 89th Reserve Support Command soldiers from the heart of America will continue to work behind the scenes, unnoticed and expected to complete their mission on time and without a pat on the back. TF 1-32 operates out of FOB Chosin. They are guarding one of the biggest power plants in Iraq and have made tremendous progress in the towns of Iskandariyah and Al Haswah. They have been very active in reducing the number of enemy ammunition supply points and caches. Additionally, they conducted an operation that led to the detention of an Iraqi two star general. TF 1-32 has initiated a civil military program from nothing and turned it into a model program. They are conducting joint patrols with the Iraqi police and have assisted the Iraqis in improving their schools and other essential services. They continue to make improvements to their FOB. All of their Tier 3 tents are constructed and equipped with electricity and A/C. They are making improvements to their MWR facility including adding weights and other workout equipment. Their dining facility is a concrete building with open archways on each end. In mid-September 2003 TF 1-32 joined TF Panther from 10th Mountain Division and have already made a significant and positive impact on operations. They are operating in the Southern part of our zone in and around Iskandariyah. They continue to build their Forward Operating Base (FOB Chosin) while at the same time conduct combat and stability operations. They will be living in a combination of Tier 3 Tents (hardwood floors, sides, electric and A/C) and hard buildings.They have access to showers and have already started eating two hot meals daily. By January 2004, necessity wasn't necessarily the mother of invention for the "Gridsmashers" from 1st Battalion, 27th Field Artillery out of Babenhausen, Germany. It was boredom. 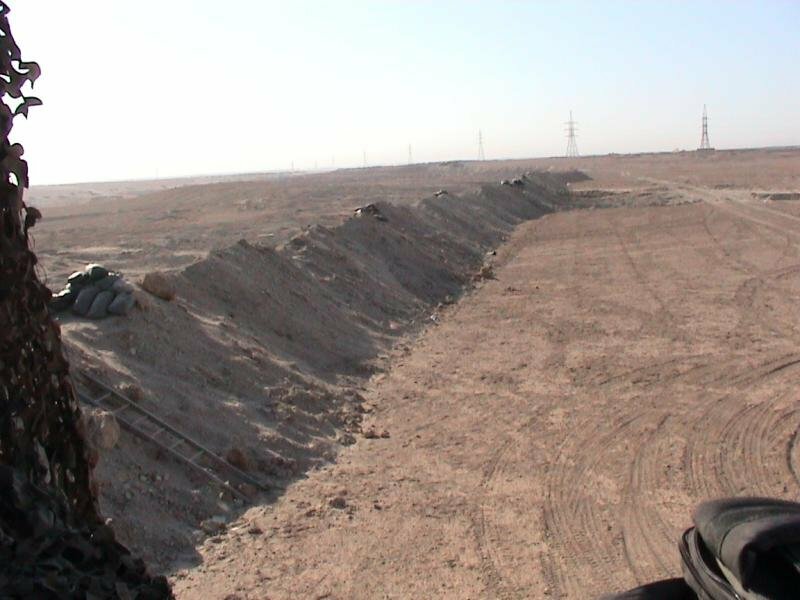 The soldiers at Dogwood, about an hour south of Baghdad, were surrounded by miles and miles of fine sand. When not patrolling or searching for weapons, they found themselves wanting to beef up. All they needed was the equipment. Lacking dumbbells, they turned to spare parts from Humvees and other downed vehicles. Both are heavy and will still pump up a soldier's arms - though few dumbbells can start a car or pump water through a radiator. After a good workout, soldiers needed a shower. So they crafted makeshift shower stalls out of plywood and hooked up plumbing to a water buffalo, which delivered heated water - after sitting in the blazing Iraqi sun. According to the UK’s Telegraph, as of Nov 2004, there were 850 British troops at Camp Dogwood, including 550 Black Watch, 105 Queen's Dragoon Guards, a small unit of Marines, plus Engineers and Signals.